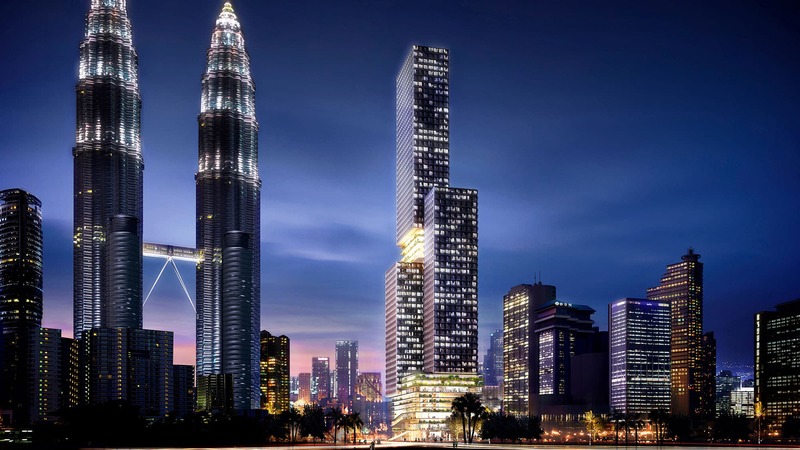 Commissioned by leading Malaysian property developer Sunrise Berhad (a member of UEM Land Holdings Berhad ), the new tower will stand directly across the Petronas, offering new architectural qualities to the vibrancy of the city’s inner core. Rather than a single mass, Angkasa Raya is made up of three cubic volumes which appear to float above open, horizontal layers. The “ground levels” form an interconnected spiral of both pedestrian and vehicular circulation and draw the diversity of the streetscape into the building. 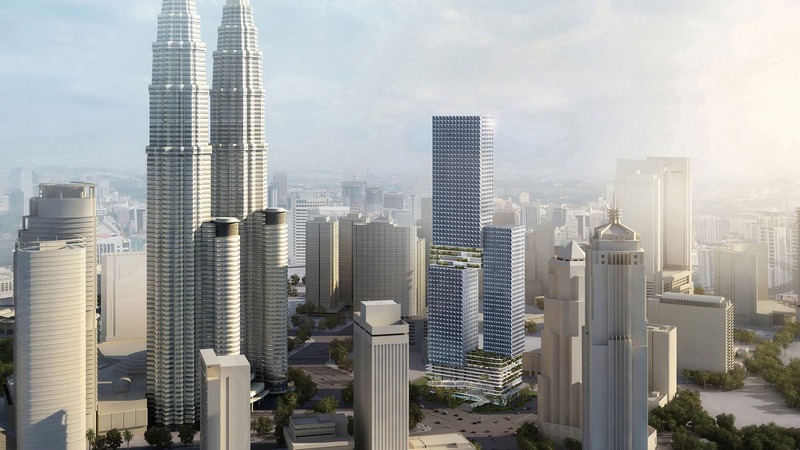 A multitude of public spaces and activities including shops, a food court, car parks, terraces and prayer rooms bring urban life into the transparent stacks, while tropical nature invades and enlivens its multiple levels.